The Franz Josef Reinl Foundation and its chairman Ernst Grossmann organise this annual composition contest in collaboration with universities, colleges, and conservatories for music to support young composers. 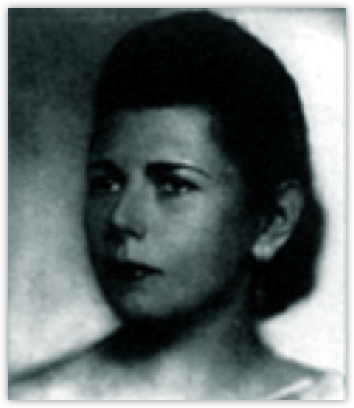 Hilde Reinl, the wife of composer Franz Josef Reinl and mother of harpist Hermann Ertl, started the Franz Josef Reinl Foundation in their honour and to support young musicians. All composers born after January 1st 1977 are invited to enter the contest. Previous winners are excluded from future contests. An approximately 10 to 15 minutes long composition that is suitable to reach a broader audience due to its sophisticated and distinguished tonal language. The contest is open for all contemporary stylistic and aesthetic directions; the decisive factors are the individual quality and originality of the submitted composition. Please indicate the performance duration in the score. The composition must not have been written before 2007 and must not have been published or performed publicly. Each ensemble may consist of 3 to 20 players of the following instruments (including one or two vocal soloists): 1 flute (including piccolo as well as alto flute), oboe, English horn, clarinet, bass clarinet, saxophone, bassoon, horn, trumpet, trombone, timpani, drums (1 player), piano, synthesizer, harp, electric guitar, 6 violins, 2 violas, 2 violoncellos, 1 contrabass and a maximum of 2 vocal soloists. Please submit 4 copies of your score with the keyword written on it. These documents will not be returned after the contest (demo tapes can be submitted, but you need to send 3). Include a separate letter with the same keyword to indicate the composer’s name, date of birth, nationality, and address (with your phone number, fax number (if any), or e-mail address). This letter must also include a written confirmation that the composition was written by you and that you accept the conditions of participation. An expert jury conducts the review process and the award ceremony. 1,500 euros for the third place. These awards are documented with diplomas. The award ceremony takes place in Munich in June 2019. The concert of the winners takes place in Munich in June 2019. There is no entitlement to a (public) concert.